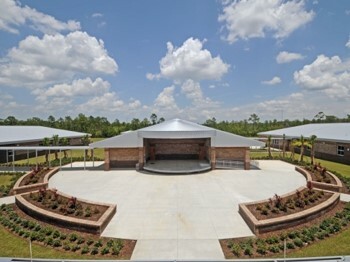 Pride Elementary School, located in Deltona, Florida, was completed in May of 2008 for Volusia County Schools. This project included 6 buildings and encompassed 106,132 s.f. This school had 48 classrooms and was designed to occupy 740 students. The structural shell of the buildings consisted of slab on grade, composite concrete, 2nd floor deck, exterior walls on masonry and brick veneer, standing seam roof over steel joists, light gauge trusses and metal deck.